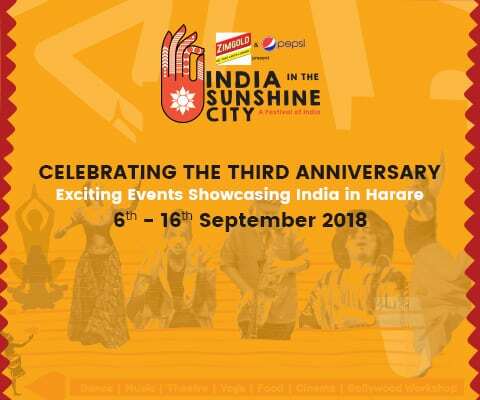 Zimbabwe will from 6th to 16 September host the third edition of India in the Sunshine City Festival. The festival which will be held in different cities across Zimbabwe is aimed at strengthening ties between the two countries, Ambassador of the Embassy of India to the Republic of Zimbabwe, Runsung Masakui told a press conference in Harare yesterday. “As a diplomatic mission, cultural exchange programmes form an integral part of India’s relationship with Zimbabwe. This, of course, includes the exchange of ideas, information, art, language and other aspects of culture between the two friendly countries and their people in order to foster mutual understanding as a way of building broad support of economic and political goals, he said. “Looking ahead, there is much to be done as we hope to grow the Festival and reach out to patrons of art and audiences across Zimbabwe. “The last years would not have been possible without the support of the Ministry of Youth, Sports, Arts and Recreation, the Ministry of Tourism, the Ministry of Information and Broadcasting, the Zimbabwe Tourism Authority and the Government of Zimbabwe”,said Masakui. Permanent Secretary in the Ministry of Youth, Sports Arts and Recreation, Prince Mupazviriho said Zimbabwe was ready for the Indian festival. “Here in Zimbabwe we have a very huge Indian community which then shows that what you will be profiling at the event will be beneficial to them as they also need to experience it,” said Mupazviriho.